Yes, I know Mud&Blood recon was/is set in LAOS, but perhaps some operations could straddle the border…. some concepts such as FOB missions do conflict with the idea of all operations taking place in LAOS (officially not there, yet recapturing FOBs in Laos). So perhaps some leeway is permitted. Good stuff. Is he going to nerf the red folder, slightly? As far as I know it is nerfed to the point that the % cap at 20. It got bugged by the last update. By the time people noticed that it did not work anymore urbzz was already working on other projects. He will update Recon eventually so hold on tight. Anyone else having issues trying to call in a supply drop in recon? Yeah, I wish there were some joint ops with either ARVN, Marines or Army. Would make it more refreshing from the usual ‘Woodsies’ routine. Damn woodsies! Never got worked up by this game in the first place. Well, it has happened to me on many occasions. Next time, I shall take screenshots. There will be enough live germans rushing, that some of them appear as moving corpses, which then resurrect themselves once they enter visual range. Its not. Just the dead from last field. Another bug: Germans spawning in while paused. 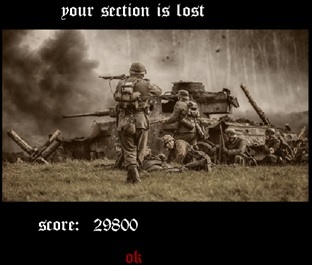 Also, does anyone think the Germans are spawning in reinforcements too often, or there should be a unit cap? ..with help of landmines (no images of this, sorry). My defensive line was rushed by 20-25 INF. They surrounded, then having to resort to hand-to-hand combat, they fought to the last breath. Christ, there are so many Germans it causing a significant drop in frame rate (minimal other applications running), and have to clean up battlefield every minute. How often do your troops get exp while waiting/idle? Haven’t tried running listening to youtube while playing MnB3, yet. Is it that long for you guys? Reset mine anyway. Just going to blitz. Alright just did 5x and now it has D-Day + 12, ahead of schedule by 3 days. But I am still at the hedgerows! How big are they???? Is there a way around this bug? Or are the hedgerows 10+ missions long? So it comes down to restart or not. Just ‘beat’ that mission. And now current battlefield shows exact same thing: ‘D-Day +11 , 1 day behind schedule’. I would rather not reset, after having earned 5-6 ribbons. Any ideas as to my options? The last (0.23b) was getting a little crowded. Anyway, so I am stuck on hedgerows. I have literally gone from start line to finish line 10+ times. So I called a stuart on last one, which explodes. Then on current map, I try and call the stuart on a different AO, but get error message ‘you only have one stuart per map’. Alright, now I see what you mean about arty. Currently on hedge rows, and now being slaughtered. Mostly because of the stupidity of my troops. at 44 morale they get pinned down while the flare is next to them.